Formerly known as Full Release Odor Counteractant. 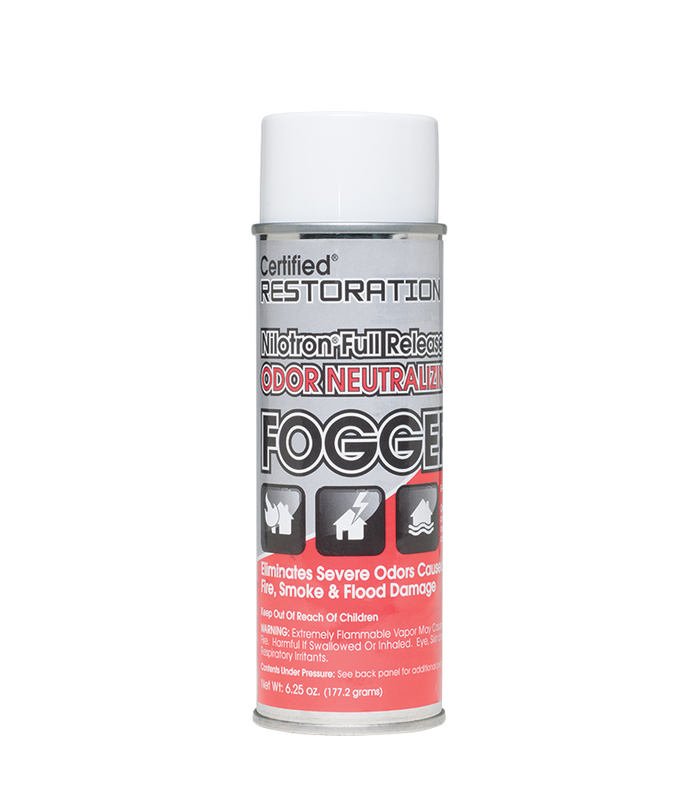 Neutralizes severe malodors caused by fire, smoke, floods, decay, etc. in the air. Counteracts odors in areas up to 8000 cu. Ft. The Nilotron Full Release Odor Counteractant contains Super N Nilodor Concentrate. Smoke and other severe odors are retained in small porous areas. Nilotron Full Release will eliminate these difficult odors. AEROSOLS SHIPPED VIA GROUND ONLY. DOMESTIC SHIPPING ONLY! Applications: Any restoration project caused by fire, smoke, floods or decay. Formerly known as Full Release Odor Counteractant. AEROSOLS SHIPPED VIA GROUND ONLY. DOMESTIC SHIPPING ONLY!